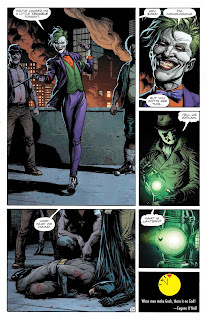 Helena Wayne Huntress: Doomsday Clock #5: The Road To Finding The Justice Society Finally Begins? Spoilers Ahead! Doomsday Clock #5: The Road To Finding The Justice Society Finally Begins? Spoilers Ahead! 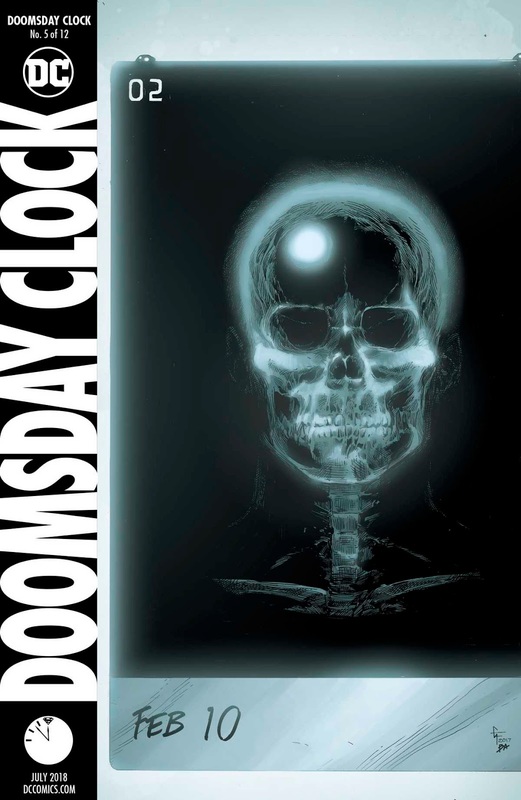 I find it a bit ironic that just four days after I expressed concern about the lack of progress on the Justice Society's return in Rebirth, lo and behold, Doomsday Clock #5 starts to pick up pace on that front. And because I can't talk about what happens in this week's issue without spoiling the big reveal, insert spoiler alert here, come back to this post after you've read the issue. If you don't care about being spoiled, proceed. Teases on the Justice Society's whereabouts have been present since Doomsday Clock #1. From picking up on the elderly Johnny Thunder's sub-arc in DC Universe Rebirth #1 to teases on various Golden Age characters like Alan Scott's Green Lantern, Hourman, and even Liberty Belle in the back matter pages, there has been a slow but gradual buildup to today's issue. If we all recall from DC Universe Rebirth #1, the pre-Flashpoint Wally West told the elderly Johnny Thunder to look for the Justice Society. 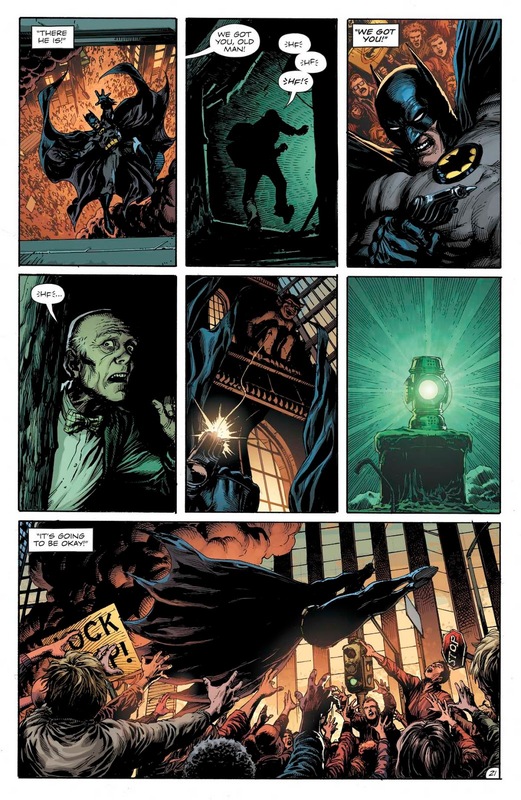 In Doomsday Clock #5, Johnny finally embarks on that journey to find them by escaping the resting home he's been kept in. The first place he goes to? All-American Steel Company (an obvious reference to All-American Comics) to retrieve Alan Scott's lantern following the news of a green flame "blowing up" the place! 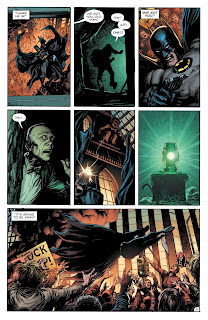 Now, I will admit, I was stupidly excited to see Alan Scott's lantern in this week's issue, but it also made me realise something else: the New 52 version of Alan Scott that we saw in the Earth-2 series at no point had a lantern because his green flame powers were supposedly Earth-based this time around instead alien like in his original Golden Age story. What's more is that he acquired Dr. Manhattan-level of powers by the end of Earth-2: World's End. By Earth-2: Society, he very much behaved like Dr. Manhattan until Dan Abnett restored the "original status quo." My question now is "are these two things related?" Obviously, I'm expecting the return of the Golden Age Alan Scott in Geoff Johns' story, but I also know that Johns doesn't have a track record of completely disregarding everything that came before, especially progressive developments. During the New 52, Alan Scott was reimagined as a gay man, which is something DC themselves promoted. It would not be within DC's interest to go back to the previous status quo of making him heterosexual again. Given that detail, it wouldn't be unheard of if Johns somehow ends up retconning the Earth-2 Alan Scott as having been the Golden Age original this whole time, but was placed in another dimension resembling "Earth-2" by Dr. Manhattan. It would additionally explain why he didn't have his lantern with him these past few years (especially if it's been on Prime Earth this whole time), and why he briefly had Dr. Manhattan levels of power, complete with Dr. Manhattan's personality at one point. If DC especially brings back Alan's children Jade and Obsidian (the latter of whom is gay) there is strong story potential in Todd Rice discovering his own biological father had always been gay. There is additionally a lot of story potential in exploring why Alan had been in the closet this whole time, which in itself can serve as a commentary on decades of internalised homophobia, especially as a man who grew up in the earlier 20th century. Since Golden Age comics had always had political commentary, it would actually be a very relevant story for Alan. Of course, there is no guarantee Johns will end up reinstating the New 52 version of Alan Scott as having been the original, and could end up ignoring the New 52 Earth-2 canon all together. However, given that the Earth-2 Power Girl is returning to Prime Earth (at least as of Deathstroke Annual #1) and it is the same one from the New 52 continuity, there is still hope that Johns may somehow rework the current Earth-2 characters back to their original incarnations. 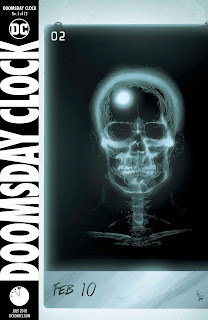 This is especially likely when you consider that the character of Jon Osterman (the main antagonist of Doomsday Clock) is all about parallel dimensions and alternate timelines. The other reason it's worth bringing those New 52 Earth-2 characters back to Prime Earth is because there are good characters that appeared like Val-Zod that don't deserve to disappear to oblivion. I'm also still of the strong opinion that the Earth-2 Helena Wayne needs to come back as the JSA's Huntress as well. Not only will it make me very happy to see the original Helena Wayne Huntress with the Justice Society again, but her existence is especially important for Power Girl's character. The original Helena Wayne's presence will allow Kara to reclaim one significant relationship from her previous life on Earth-2, which will in turn enrich her story. Even Johns knows that this is an important relationship to her, which is more than a good enough reason to bring her back for good this time, and not as a flashback or a doppelgänger. I do think the Earth-2 Huntress and Power Girl deserve that much. On Helena's side, we still need to better address the fact that she used to be the "white, blue-eyed Helena Bertinelli." Both she and the current Helena Bertinelli need to move forward from their problematic post-Crisis past, and Huntress fans on both sides need better closure as well. Having said all that, I'm looking forward to seeing how this journey to finding the Justice Society will pan out, and I hope it unearths a tonne more surprises as the story progresses. We now have Alan Scott's lantern in hand, Johnny Thunder is now out of the resting home, I cannot wait to see who else shows up! And, of course, I'll be here to talk about it when that happens!